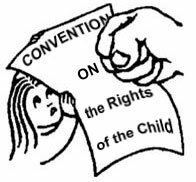 The “Right of the Child” NGO (ROC) began its work in 1996, and this was the natural continuation of the victorious human rights struggle in the Former USSR. ROC is the only NGO in Russia which applied ‘cosmic’ methods of saving dissidents from the KGB of USSR to saving children from bureaucracy of New Russia. In the famous Andrei Sakharov motto “For success of our hopeless adventure !” the word ‘success’ is the leading for us: we never give in and always manage to resolve positively the specific tragic cases, however every time it is a sort of a miracle because ‘adventure’ is really ‘hopeless’ since the ‘rules’ are inhuman and authorities are no less deaf now than in the USSR. Our first case: pregnant 19 years old girl addressed ROC. 3 months before that she escaped from the Moscow internat for mentally disabled where she was to be forcibly aborted – according to the strict rules. But she wanted to have a child, to have a family (she escaped together with her friend – father of the baby). During 3 months they hid themselves in the Moscow attics and basements - without passports, without any hope for future, without any medical service after all. It took enormous efforts but ROC managed to force the system to behave against its own rules: the child was born, the diagnoses of parents’ mental disability were abolished, they were released from internat and even were given the apartment – the unprecedented case for internats for mentally disabled in Russia. This happened in 1996. The same work has been done for 17 years: from protection of rights of inmates of institutions or rights of children born by HIV-infected mothers, or saving the families from removal of their children - to support in 2012-2013 of the desperate hungerstrikes of many-children mothers, who have no housing. Each case is special and success requires creative and increasingly growing efforts. Surely we also do our best to promote the changing of the rules and laws, to reform the system as a whole. We work in cooperation with plenty of NGOs united in particular under umbrella of the Commission on Social Politics of the Civic Chamber of Russia, we fruitfully cooperate with President’s Council on Human Rights, with Russian Ombudsman for Human Rights Vladimir Lukin. And we definitely know that 300 thousand children should not permanently live in institutions being unaware of such an elementary notions as ‘home’, ‘family’, ‘personal space’, ‘meaningful adult’. Thus the struggle continues. However at present like many other Russian NGOs ROC is in extremely difficult situation because of the Russian “new Cold War”, the Law on “NGOs as foreign agents” and other aggressive attacks of authorities upon the NGOs. That is why we ask for support.